1. Preheat oven to 350 degrees and lightly spray 8×8 baking pan with cooking spray. 3. Add wet ingredients to dry, mix until combined. 4. Pour into baking dish and baked for about 25-30 minutes or until set. 5. Serve warm with steamed milk and if desired a drizzle of maple syrup. My kids also sprinkled with “Maple Sugar” from the Savory Spice Shop. 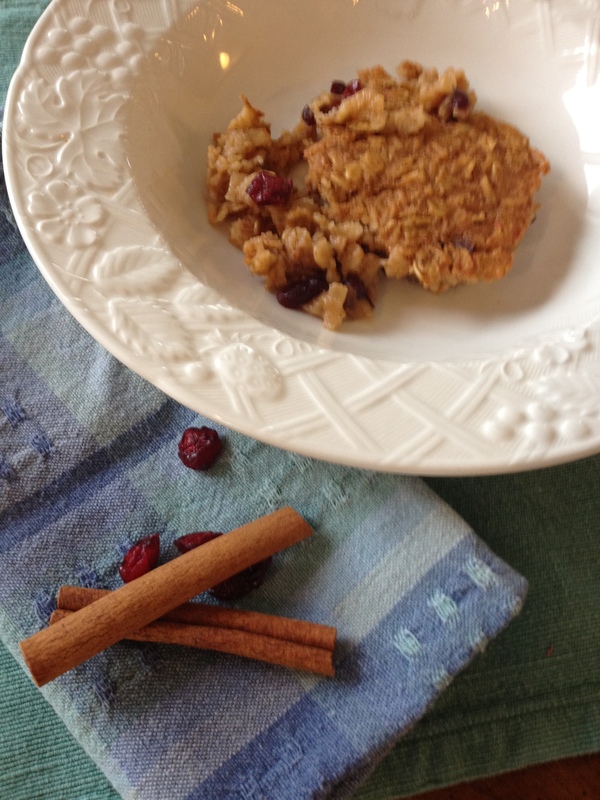 Posted in Breakfast, Healthy Baking, healthy eating, kids, Weight Watchers and tagged baked oatmeal, baking, Baking powder, Cooking spray, Egg white, healthy breakfast, Ingredient, Maple syrup, Measuring cup, Oatmeal, Pumpkin, Weight WAtchers. Bookmark the permalink.